If you wear glasses, you’ll know that they can draw attention to your eyes. Whilst some wearers feel like they can hide behind their specs, others feel like their lenses (especially for hypermetropia) will highlight their eye area for all to see. So having jaded peepers from late nights, stress or general lack of rest is not a great look for prescription glasses wearers. If this is you, don’t worry. Help is at hand because there are many different ways to get rid of dark bags under the eyes. Here are 10 quick fixes you can try the next time you’ve pulled an all-nighter. 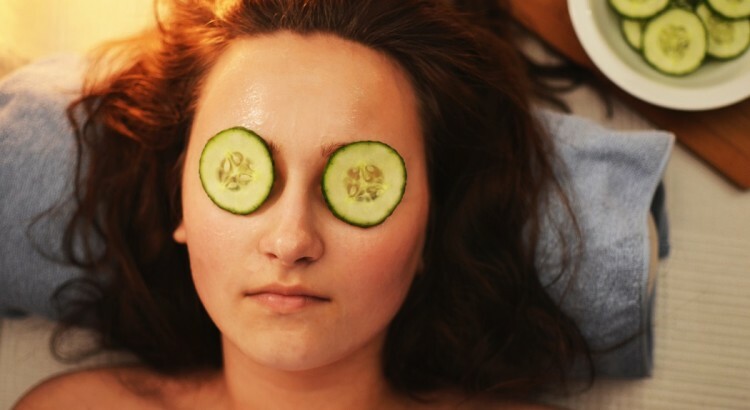 Cucumber slices really do work; they contain skin-lightening properties and a mild astringent to help combat tired looking eyes. If you chill the cucumber in the fridge before you slice, the cooling effect will help to minimize inflammation and puffiness too. 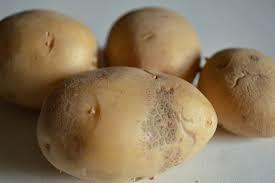 Believe it or not, rubbing a bit of raw potato on your eye area can help to keep those dark hues at bay. Potatoes contain a natural bleaching agent so they can help to lighten dark areas of your skin. Use a few potato slices as an eye mask or extract the juice of the potato (by grating and squeezing) and let the liquid sit on your skin for up to 15 minutes. Sometimes, all your skin needs is a little bit of moisturiser. If you suffer from dark circles or puffy eyes, your skin is screaming out for some TLC. If you’re already using moisturiser for your eye area daily, try something much more concentrated like Vitamin E oil (available from most good health stores). 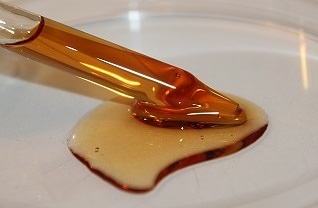 Another great oil concentrate to try is almond oil. Bursting with Vitamin K and other vitamins, it makes the perfect moisturiser. Not only that but it’s 100% natural, contains no harmful chemicals and is mild enough to use around the most sensitive eye areas. Eye drops may not be able to get rid of your dark circles or bags but they will certainly help to inject a little youth into your eyes by keeping them hydrated. 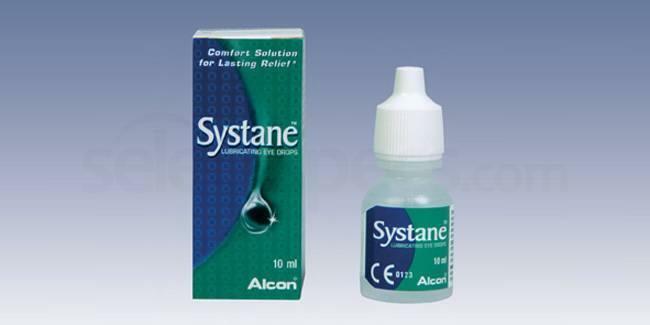 There’s nothing worse than the combined terror of dark circles and bloodshot pupils so try our Systane Lubricant Eye Drops to prevent irritation. Rose water not only smells divine but it can have a wonderful rejuvenating effect on your skin. Due to its mild astringent properties, it works brilliantly as a toner and will help to reduce puffiness under your eye area. Use cotton pads soaked in rose water as a mask over your eyes and leave them for up to 15 minutes per day. 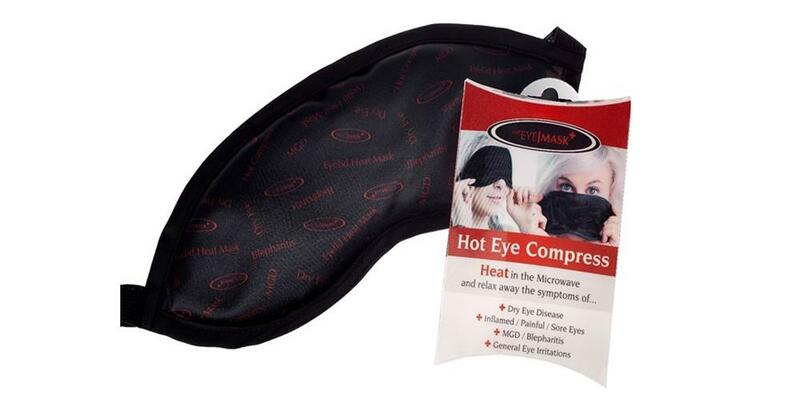 This Heated Eye Mask acts as a hot compress to tackle problems such as dry eye syndrome, inflamed eyes, sore / painful eyes, Blepharitis or general eye discomforts and fatigue. It won’t work wonders overnight and it doesn’t promise to be a miracle but with regular use, it will keep your eyes soothed and well-looked after. This mask is super easy to whip up and all you’ll need is some leftover ingredients from your fridge. Juice a tomato and mix it with a tiny bit of lemon juice. Pat this mixture over your eye area (keep your eyes closed) with a cotton pad and let it sit for around 10 minutes. This will allow the lightening properties in both the tomato juice and lemon juice get to work on your skin. Skin highlighters don’t work for everybody but sometimes they can make a great cover-up if you don’t have time to be slicing up cucumbers or massaging oils into your skin. 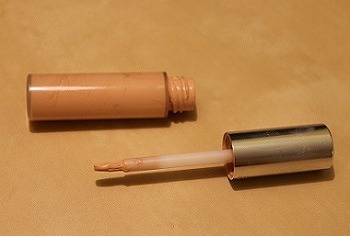 If you’re in a rush and need to cover up your early morning fatigue, try a highlighter stick such as the Charlotte Tilbury Mini Miracle Wand, YSL Touche Eclat, or the Loreal Lumi Magique Highlighter Pen. Some makeup artists swear by these sticks whilst others claim they don’t work well for dark circles – so it really depends on the individual – but worth a try for those in a hurry. It seems too simple to be true but if your dark eyes are caused by vascular issues and circulation, you may want to try sleeping with extra pillows at night. Double up on pillow volume and this could help to prevent blood building up under your eye area. A cold compress first thing in the morning will constrict the blood vessels and using a face cream with caffeine could really help. Thanks for your another helpful post. People waste lots of money to cure dark circles every year by purchasing wrong cosmetic products. However, they don’t follow proper and simple ways to cure sacry cirlces. I am damn sure, your writing will help them.